New McKays Dam holds back the North Fork of the Stanislaus River. A single span steel highway bridge on seat-type abutments is just downstream of the dam. This area is very remote. 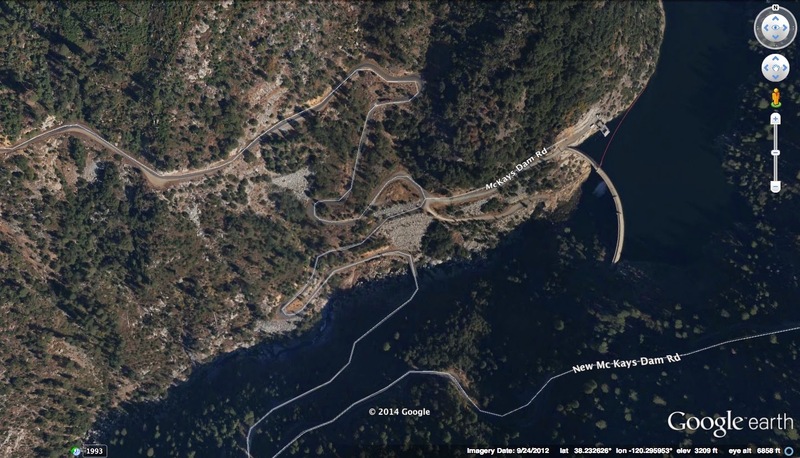 The New McKays Dam Road is a series of switchbacks descending down to the river. 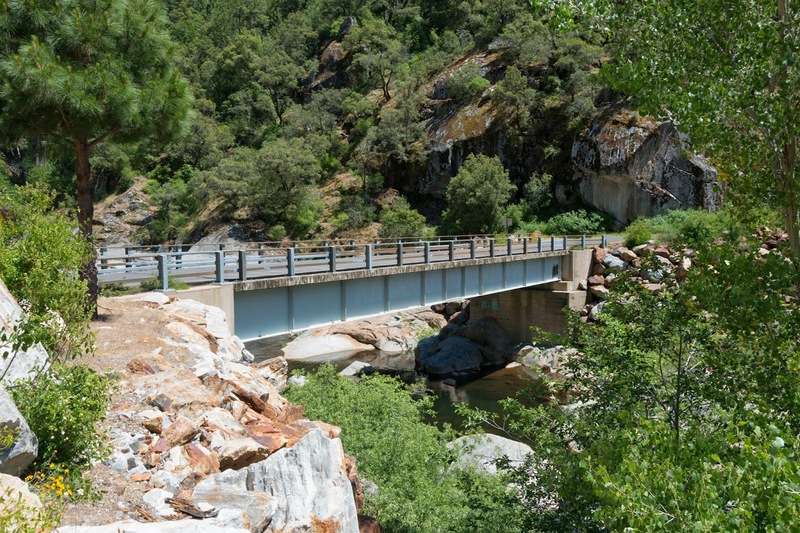 We previously studied this bridge when we were in Calaveras County in June of 2013. Tuolumne County, California Bridges: New McKays Dam Bridge across the North Fork of the Stanislaus River by Mark Yashinsky is licensed under a Creative Commons Attribution-NonCommercial-NoDerivatives 4.0 International License.